Cue the soundtrack, turn on the lava lamp, and get ready for some salty, creamy action. The sound track to the 70s can now be spread across your lips making them moist, supple and ready for action! With all natural ingredients and scents to fuel your inner fire, BCBB is ready to please. Want more? The real scene stealer is our unique patented package. The Friend End™ tube is designed to keep balm users from sharing more than just lip relief. Never taint your balm again! 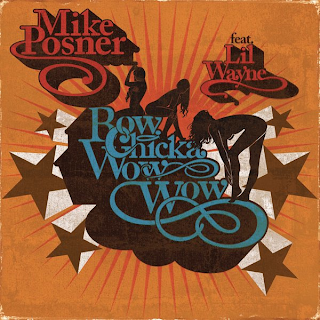 “Bow Chicka Wow Wow,” 2010 single by Mike Posner. Hat tip to reader Jill, who sent me a link to a story about Balm Chicky Balm Balm in DenverPost.com. Co-founder Elizabeth Moscow told the paper that the name was inspired by “bow chicka wow wow”; the article explained that the phrase “refers to the pulsating background music from 1970s pornographic movies.” BCBB’s founders recently raised $6,780 toward a $10,000 funding goal through Indiegogo—an appropriate name itself, in this context.